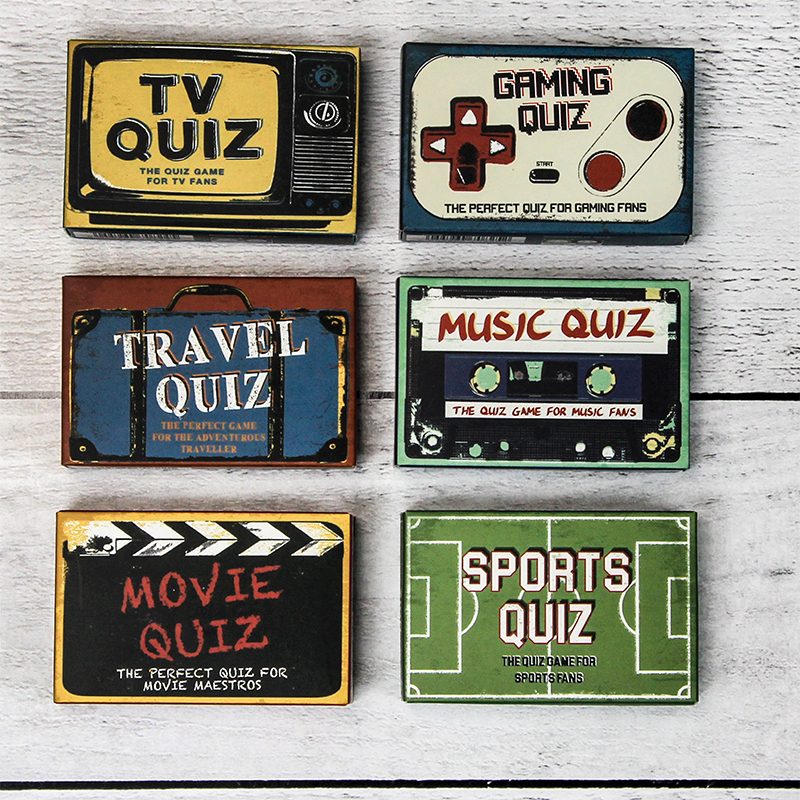 Put your knowledge to the test with a selection of fast paced quizzes perfect for all the family! Choose from TV, Film, Music, Gaming, Sports and Travel. Collect them all or pick your speciality and compete with friends and family to see who knows most and who can be quickest to answer. 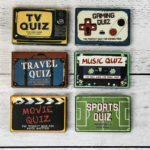 With six different categories of quizzes to choose from, each pack contains 50 teasing questions to test your knowledge. Full instructions are included to get you going. 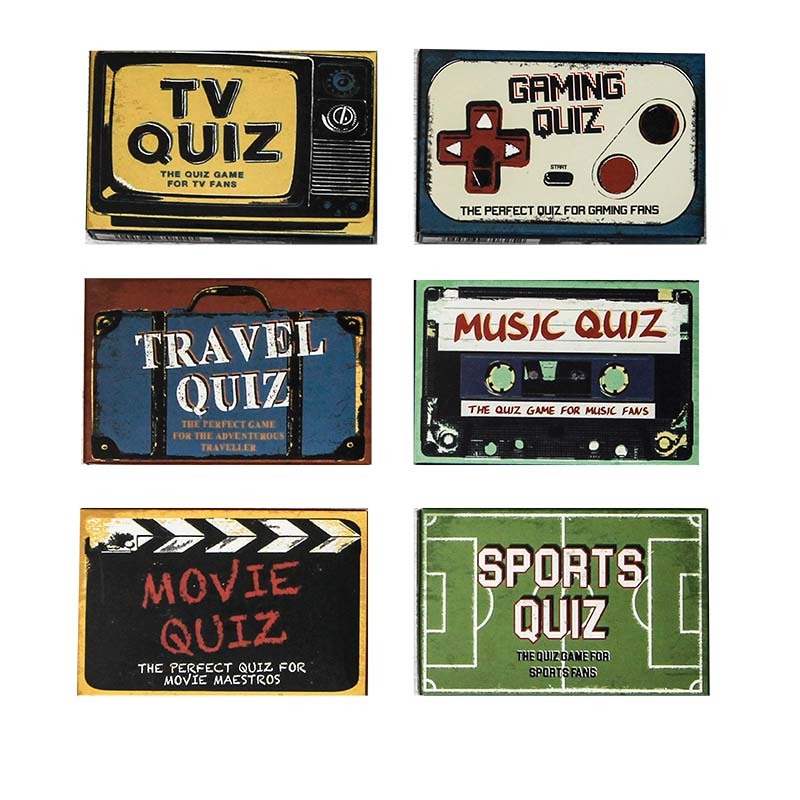 The Quiz Compendium consists of 6 separate quizzes on a range of subjects so are you a movie buff or a music maestro? Are sports your thing or are you a gamer? Collect them all to complete the ultimate Quiz Compendium! 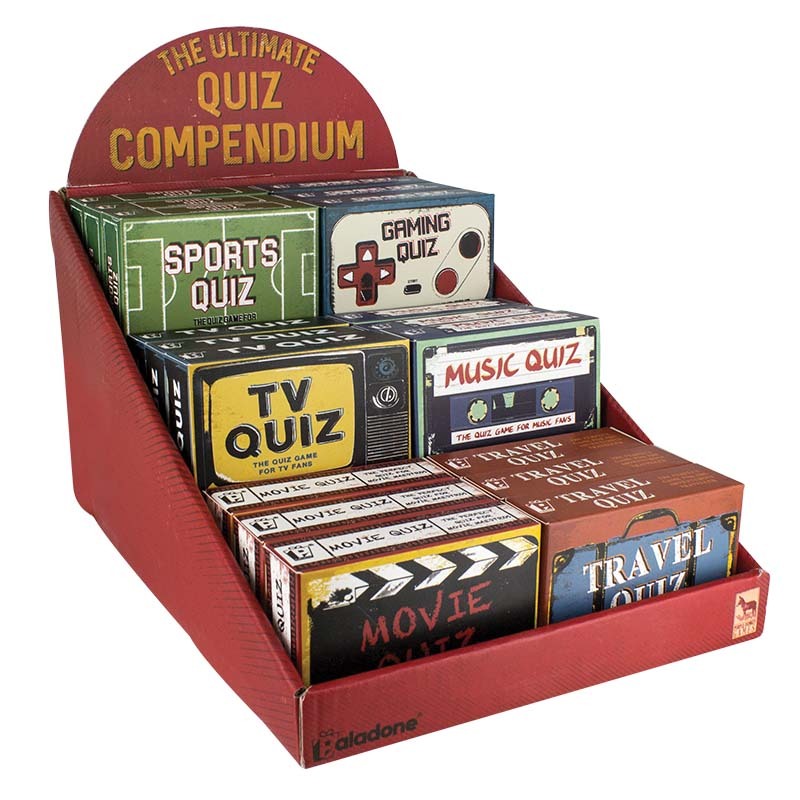 The Quiz Compendium includes a TV Quiz, Movie Quiz, Gaming Quiz, Travel Quiz, Music Quiz and Sports Quiz. Each quiz pack sold separately. The Quiz Compendium is part of the Purple Donkey gift range from Paladone which aims to create great inclusive gifts and games that are easy to pick up and play as well as providing fun and laughter for all ages.